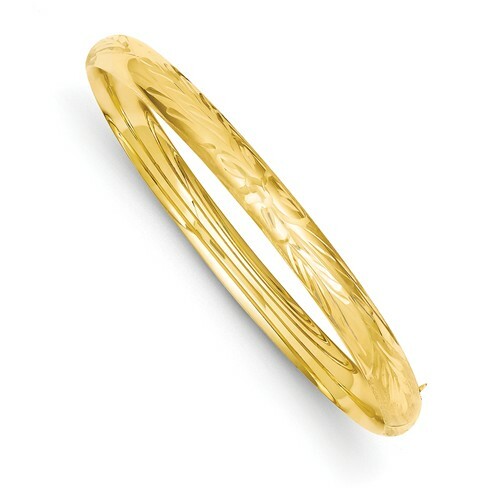 14k yellow gold Florentine engraved bangle bracelet has a safety clasp. Hollow. Width: 7mm. Weight: 6.7 grams. One size fits most. Circumference: 7in. Made in USA.